Over a trailer full of rubbish was collected. Much of this was plastic ranging from bottle tops to wheelie bins! A big thanks the D&G Eco Warriors and to everyone else who helped out on the day. Plastic pollution in our seas and coastlines are at global proportions and sadly, concerns of this growing disaster are still not being realised or addressed fully. 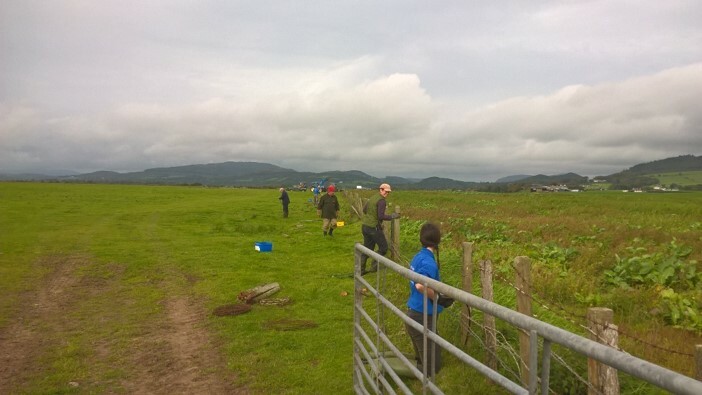 Meanwhile on the reserve we have been busy with continued topping and some fence removal work at West Preston, reserve staff from across D&G came to help as part of a mini team challenge. The reserve was forced to close due to storm ‘Ali’ and we lost several trees in the Sulwath Gardens 4 of which are hung up (or leaning on) other trees making the area unsafe to visitors until we have them felled. Geese continue to arrive with over 500 pink footed geese seen from the hides on Thursday as well as 10 greyleg geese and 55 canada geese. Looking further beyond the hides small groups of shoveler, teal and mallard are present. 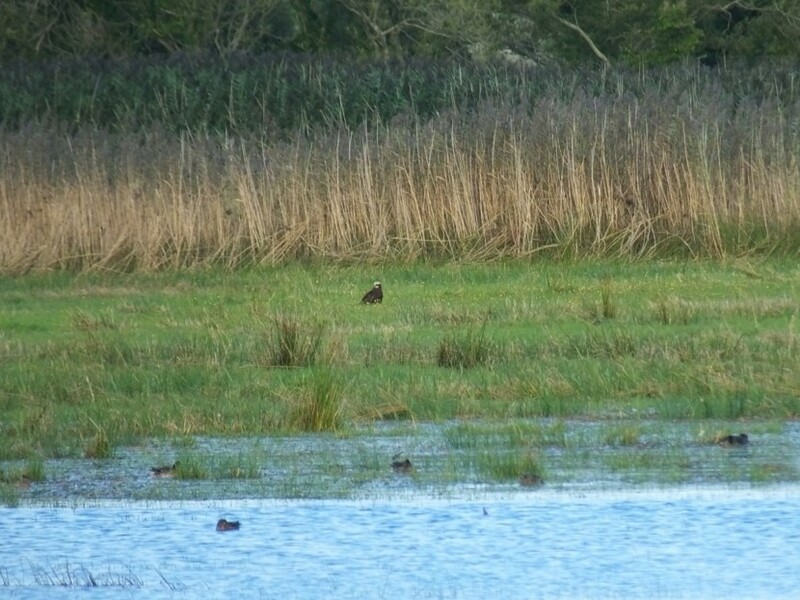 On Sunday we had a male and female marsh harrier over the wetlands, and have had continuing reports of sparrowhawks seen within the visitor centre area and a male kestrel seen around the farm buildings . There are general walks taking place once a fortnight on Thursdays through to December. 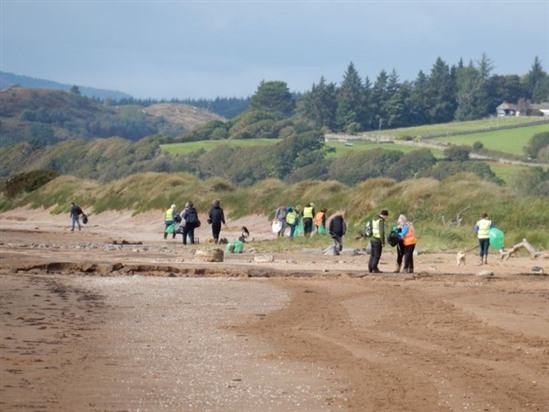 If you’d like to see how we attract nature throughout the seasons and get to discover some of our wildlife close-up, then get in touch to take part in one of the Mersehead Discovery Walks. For the more adventurous, we will be running to special events in the next couple of months. The Reserve’s Last Piece in the Jigsaw guided walks will offer the chance to experience Preston Merse (the new part of this reserve that now links Mersehead with West Preston). This recent acquisition has raised interest by a number of visitors and now, you can join in the walk to see it first hand and learn about its story and how work is being done to develop it into an important part of the reserve. This walk is for the physically fit, as ill be quite strenuous. The event will take place on 16th October and again on 17th November, from 10am to approximately 3pm. Booking is essential and there will be limited spaces for those wishing to take part.